Family records (written but passed down by word of mouth, I think) gave William Doyle's death year as 1844. 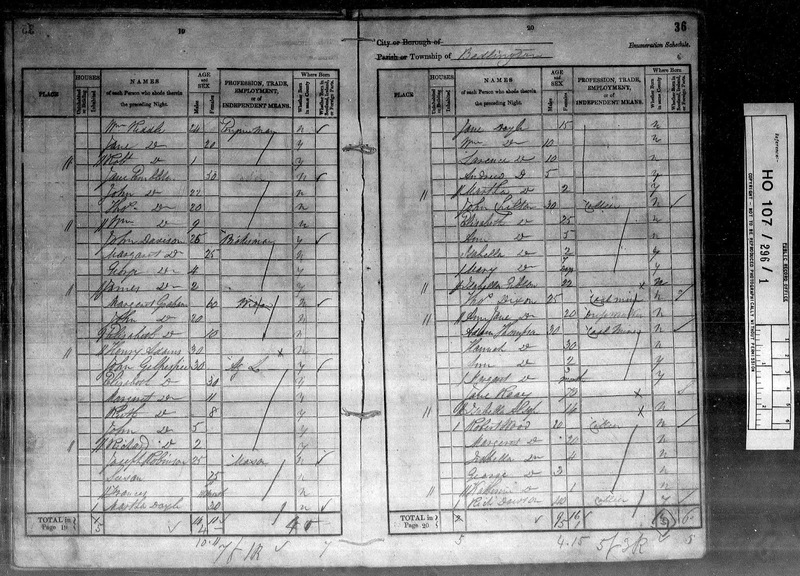 When searching for him and his wife and Martha (Reay) Doyle, I hoped I would find them together in the 1841 U.K. Census. I found his wife, Martha, and their children in Bedlington, Durham County. Martha is on the left page (19) at the bottom, the children are on the top of the right page (20/36). They appear to be living with Joseph and Susan Robinson, age 25, and a little girl named Frances. But William was not with them. Where might he have been? A few months ago I posted the possibilities of William's whereabouts in 1841. Further research since then has given me an answer to my question. Details to follow. 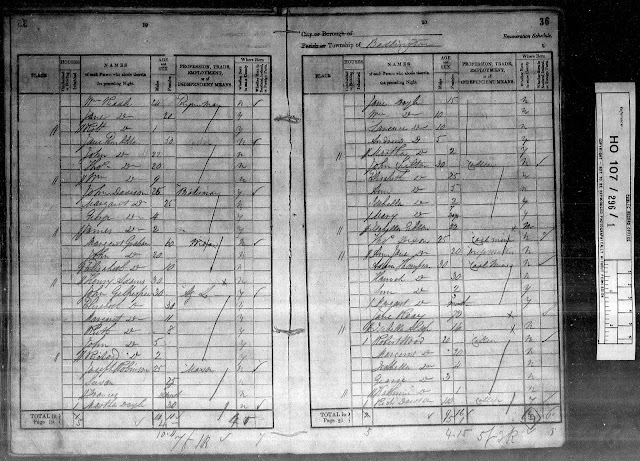 William and Martha (Reay) Doyle are my third great-grandparents. Copyright © 2017-2018, Nancy Messier. All Rights Reserved.